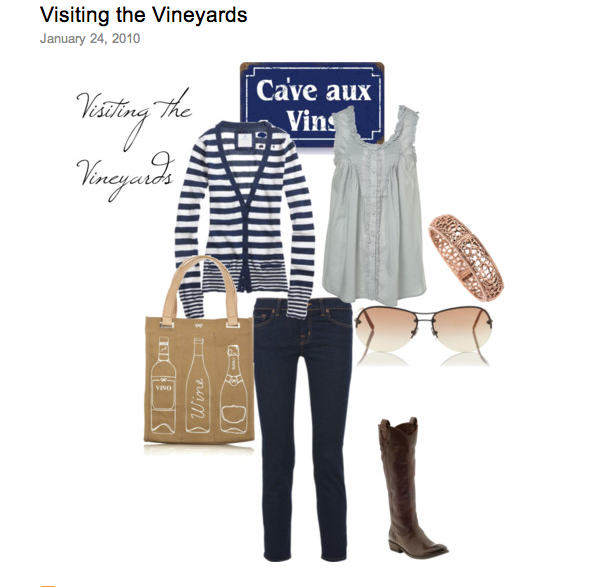 Polyvore allows you to create outfits and decorate rooms from a huge database of items. If I had my druthers (and dollars) I would wear this to the vineyards. Visit here to see where everything is from!